Bring Your Own Device or BYOD is a hot topic these days, but what’s the big deal? It seems that everyone has their own smartphone/pocket computer. We learned to deal with the Blackberry years ago. Why not blur the lines between consumer technology and business technology? Can’t we all just get along? While it may seem that your IT department is the very embodiment of Dilbert’s Mordac, The Preventer of Information Services, there is a very good reason why they are cautious and you should be too. The device belongs to the employee but the data belongs to the company. Mobile devices are great for extending our workflow, our workday, and for keeping us in constant contact. In the midst of all of this work, wherever it may happen, an employee will most likely pass company data through their mobile device, either for viewing, editing or storing. Company confidential information is worrisome enough but what about personally identifiable information (PII) belonging to your customers? Is every mobile device protected by a PIN? Is data encrypted on your device while at rest? Is data always encrypted while transiting over the network? How are employees sharing data? Over the cloud? Whose cloud? There is a lot to think about when deciding on a BYOD policy and deciding whether to allow personal devices to access your network. Bill Ho, president of Biscom has created a list of security items to consider when creating a BYOD security policy. As the number of IT personnel has shrunk through cost cutting and rightsizing, the number of smart devices and platforms has exploded. Blackberry used to be the only game in town, but now we have Apple iOS, Android, Windows Phone, WebOS and other platforms with fun version names like Ice Cream Sandwich and Jellybean. Further up the stack, there are apps that have their own security issues. The sheer combinatorics of it all would cause any IT professional to run screaming for the network closet. To do justice to a solid BYOD policy, an organization would need at least one full time person to monitor platforms and applications that are accessing the enterprise systems. Do you have that kind of manpower? Is there a middle ground without compromising information security mentioned above? Another consideration is the compatibility of all of these different devices and platforms and mobile applications and your corporate applications. Will X always talk to Y? Does it cause the IT department to scramble to get your unique permutation working for you? Is it worth the effort for your personal productivity? There is a lot to consider when deciding to embrace BYOD. On the upside, it can extend the productivity of employees as long as security and compatibility concerns are adequately addressed. The good news is that there are tools available to help you manage mobile devices. You can find solutions from IT service providers such as IBM and Dell or from security providers such as Symantec and others. These applications can help you reach the right level of availability, convenience, and security in order for your employees to maximize their productivity and help you sleep at night. 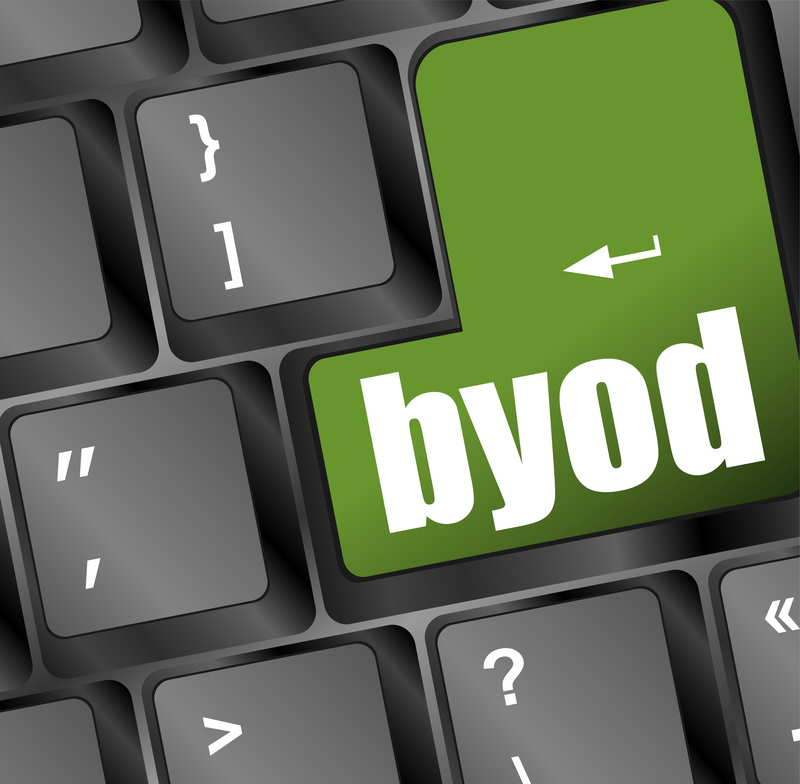 Do you have a comprehensive BYOD plan? Is it working? What keeps you up at night? This entry was posted in Uncategorized and tagged AIM Program, applications, bring your own device, business technology, BYOD, enterprise system, information security, IT, IT security, platform, security, security policy on April 30, 2013 by Kelly Brown. I read an article recently by Greg McKeown—The #1 Career Mistake Capable People Make—about our inability to prioritize our work in order to maximize our contribution. His premise is that when capable people shine, they are noticed and sought after and put on a LOT of different projects but then their effort gets diluted, because they are capable, and they fail to realize their highest point of contribution. It made me think of my own life and career and I wonder if I fall into the same trap? I shared an object lesson around time priorities at a recent graduation. If you consider your time as an empty jar, you can fill that time with family, friends, career, school, faith, personal fitness, etc., as represented by large rocks filling the jar. 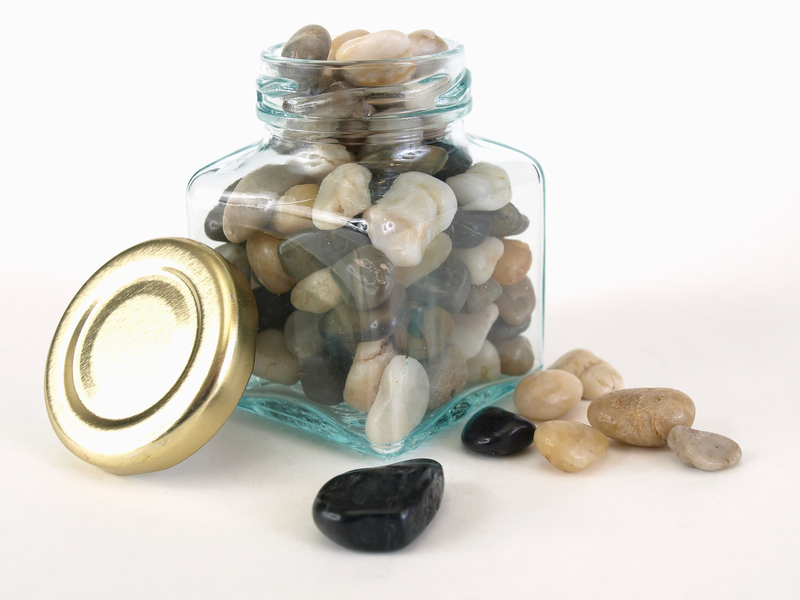 Now, it may appear as if the jar is full, but in truth there are still some pockets that could be filled by smaller rocks representing less important things in our lives such as hobbies, leisure activities, volunteer activities, etc. Again, it appears that the jar now is full but there is room still for some even less important activities such as games, reading, shopping, etc., represented by sand, or even water. It seems that no matter how much we fill our lives and our time, there seems to be room for more, but should we really take on that seemingly unimportant task, just because we are capable? Or should we instead focus on our “big rocks” and strengthen our career and our personal life. On any given evening or weekend, my “small rocks” seem to conflict with each other. This may be a sign that I am trying to fit too much in my jar and not focusing on the few important things that can help keep me moving forward. I have heard it said that you can go broad or you can go deep but not both. You have to choose. Do you ever feel you are not reaching your highest contribution, just because you are that capable person that everyone wants on their team, on their project, on their committee or board? How do you focus on those important things that can make you stand out and make your life and career fulfilling? What is important in your jar? What is it that makes you stand out? What strategies have you found to help you focus on those things? Share your thoughts. This entry was posted in Uncategorized and tagged AIM, AIM Program, career, priorities on April 23, 2013 by Kelly Brown.